This event's performance date has changed (the old date was Friday, 15 Mar 2019 at 8:00 PM). The show will now take place on Saturday, 27 Apr 2019 at 8:00 PM. 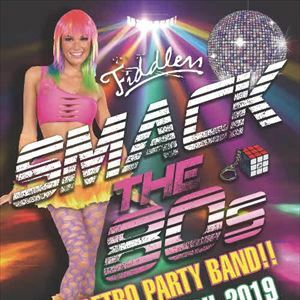 Famous for delivering a lively, fun-packed, and authentic tribute 80s show that always fills the dance floor and creates an event 'back to the future!. Dressed in 80s stage wear and using electro-wizardry, the Band instantly transcend audiences’ memories to this golden era with sounds from Wham, Human League, Madonna, The Bangles Depeche Mode, ABC, Gary Numan, Irene Carla, Duran Duran, Spandau Ballet, Thompson Twins, Erasure, The Pet Shop Boys, Go West and many, many more.